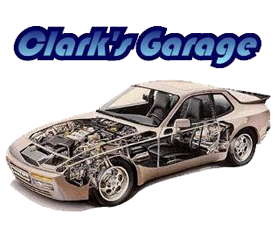 Clarks Garage specializes in Porsche 924, 944, 944 Turbo, and 968 vehicles. We can provide advice on simple preventive maintenance, major repairs, performance modifications, or assistance when trying to decide on the purchase of a vehicle. Submit your review of Clarks Garage below.